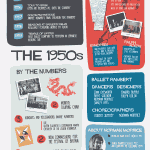 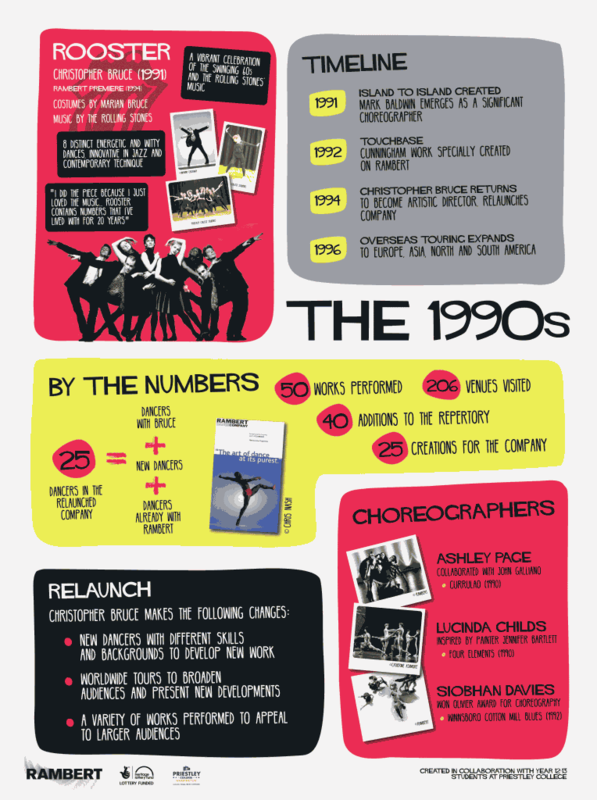 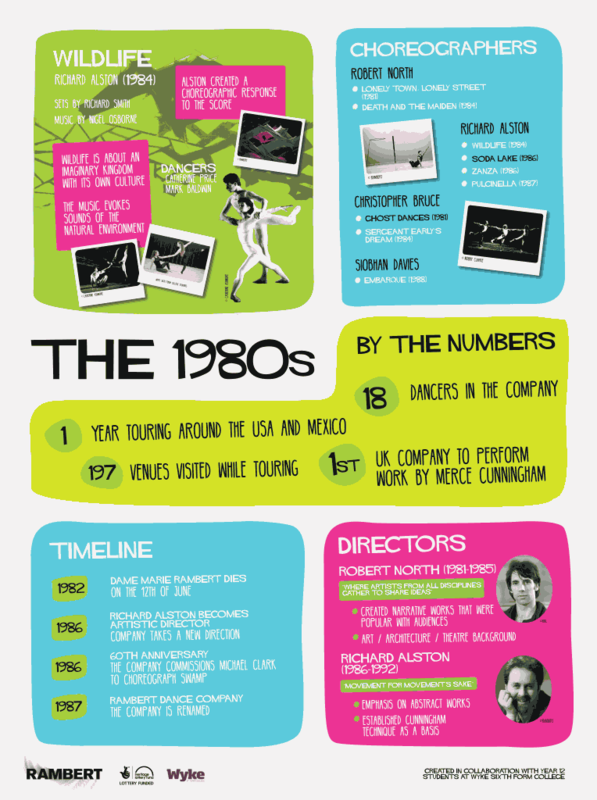 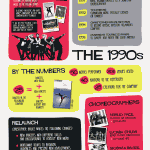 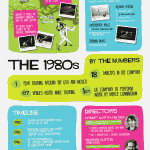 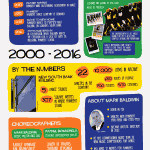 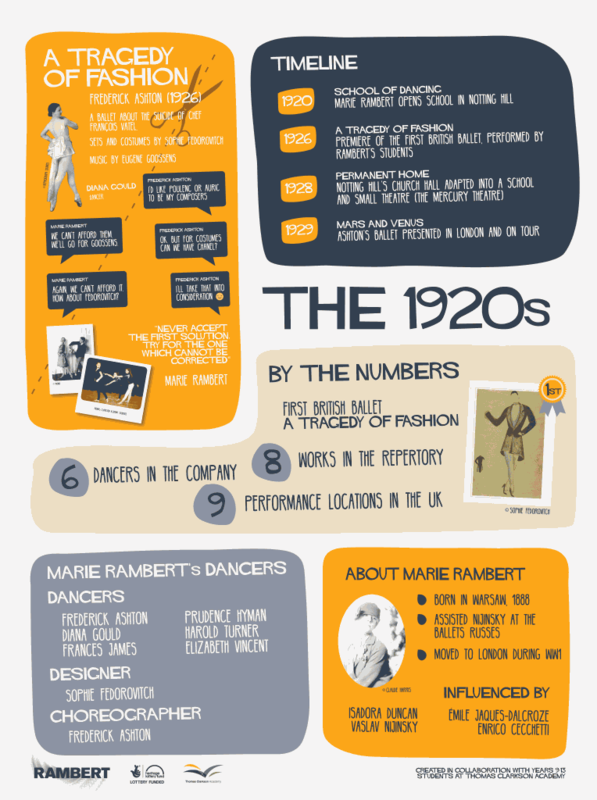 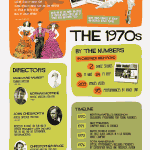 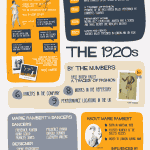 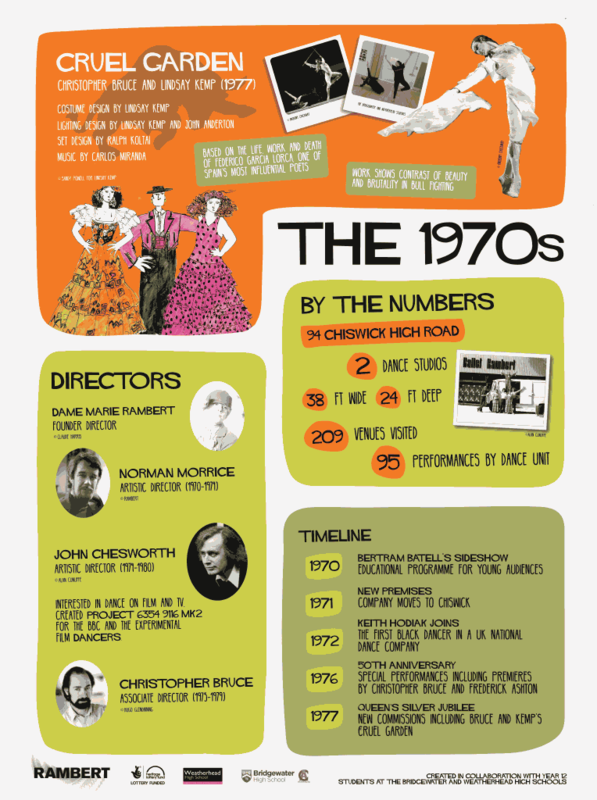 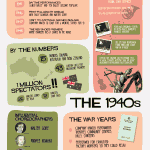 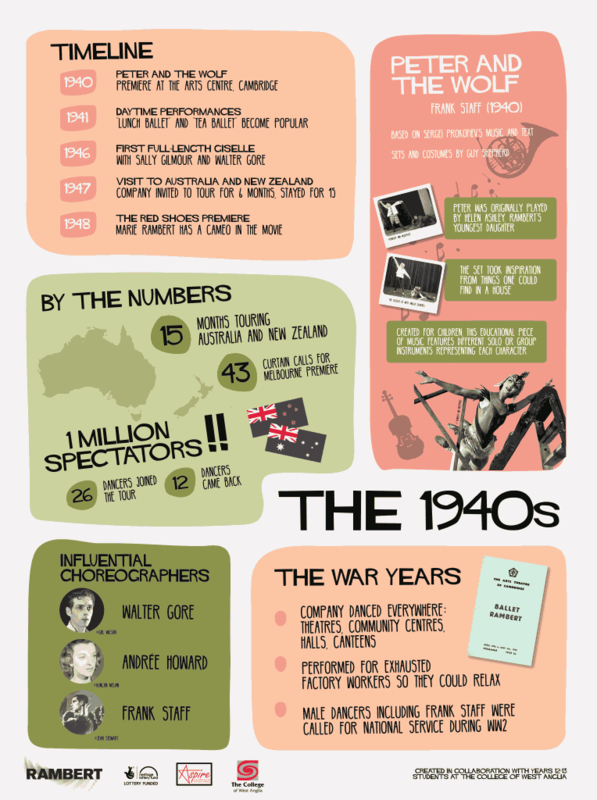 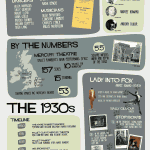 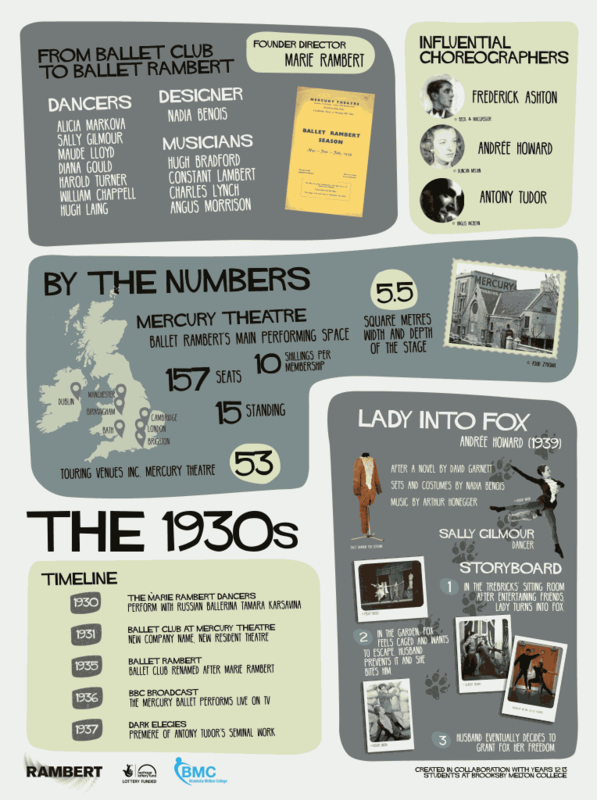 We worked with Rambert to create a family of infographics celebrating the company’s 90 year anniversary. 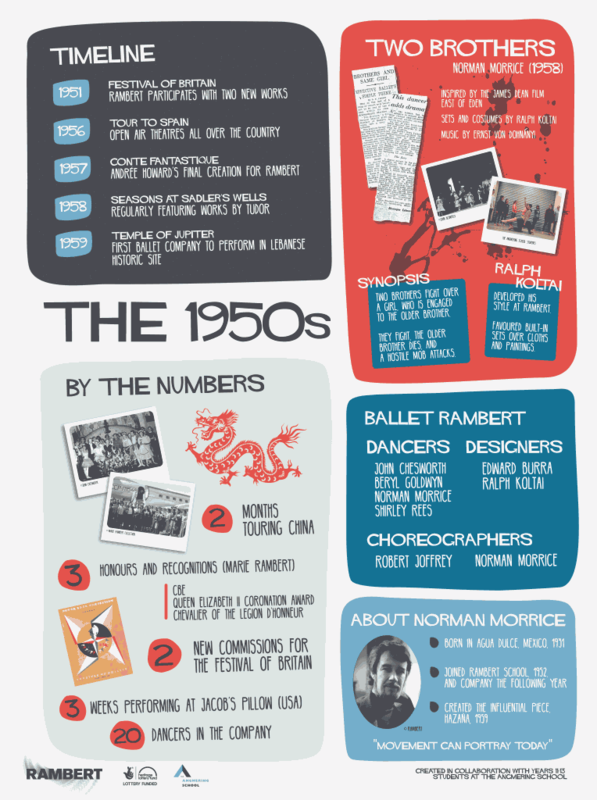 Each poster illustrates key moments in Rambert’s history, one for each decade. 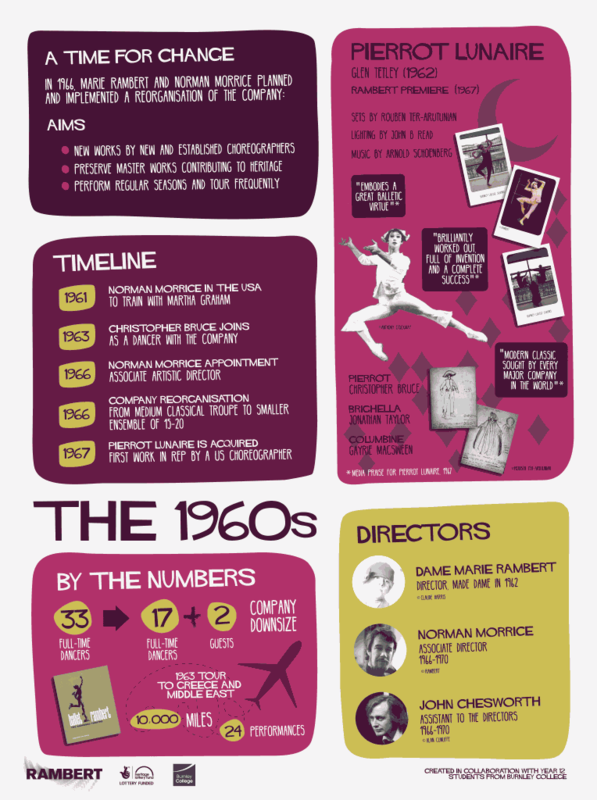 Our source of inspiration for their colour palettes and vintage feel was the work of celebrated graphic designer Saul Bass. 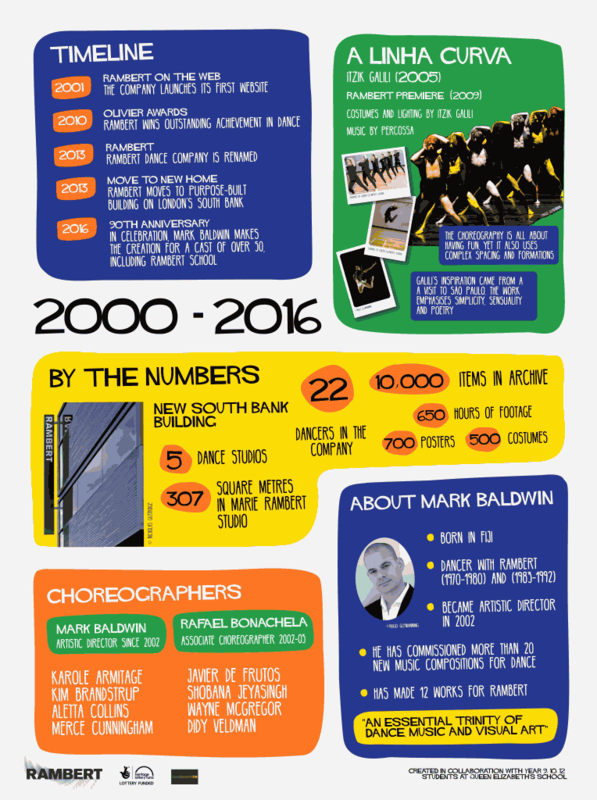 The content was devised by A-Level students from ten schools in workshops around the UK led by a knowledgeable dance animateur. 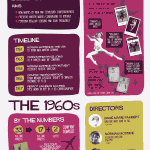 Each workshop focused on a decade, and the students decided the key historical points, suggested design ideas, and re-created some of the repertory which we here at Lume translated into these 9 downloadable images.